DESCRIPTION Super cute and cozy, rare fully developed 4 level split! Soaring vaulted ceilings as you enter this home! Living room is at the front of the home with the kitchen and eating area on the main level as well. Kitchen has plenty of cabinet and counter space, tiled backsplash, breakfast bar and opens up to the living room and eating area. Upstairs has a large master bedroom with a walk in closet and a full bathroom. The developed third level has a rec. room, another full bathroom and access to the back yard. The lower level features 2 additional good sized bedrooms, laundry area and storage. This is a well cared for home in a great location that is close to all the areas amenities, shopping, schools, transit, major roads and Spruce Meadows. The yard is a good size and has plenty of room to build a future double garage in the back! Home for sale at 220 Silverado Range Vw Sw Calgary, Alberts T2X 0X8. 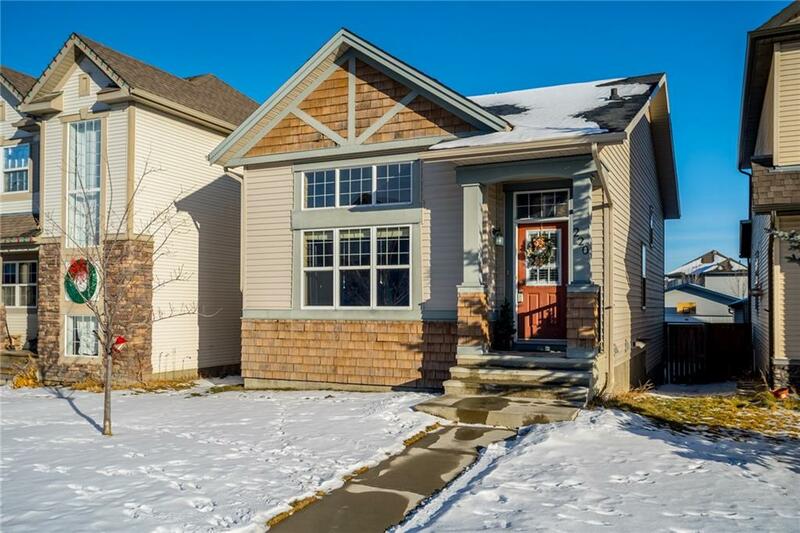 Description: The home at 220 Silverado Range Vw Sw Calgary, Alberta T2X 0X8 with the MLS® Number C4224083 is currently listed at $359,900.